I’m talking about the difference between a razorback warthog, (pretty cool, but it will probably gore and eat you) and a ferret (aaaww! It got into my sock drawer, that’s adorable!) Last week, we covered the former and described some of the more carnivorous, crazy, and cringe inducing exotic animals that people will misguidedly try to domesticate. Today, we’re going to take a look at some of the cuter, more cuddly, and easy to coexist with animals in the same category. So let’s not waste any time, and get straight to it with the top 5 exotic pets of the safe and friendly variety. Now that’s more like it, a little dog like creature that can use a litter box, and has supremely adorable ears. Where do I sign? Seriously though these critters make excellent pets, and will fit into an enclosure fit for a large family of ferrets. They are desert dwelling creatures, usually weighing between 1.5 and 5 lbs. They’re easily trainable and similar to dogs in most respects. 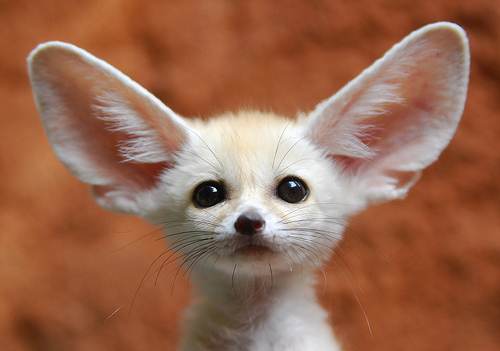 So go ahead and squeal with joy at the Fennec-y cuteness. So long as you don’t paint it blue and put a pair of sneakers on your hedgehog, it should make a pretty solid pet. If you do, it’s likely to develop super speed and make enemies with an egg shaped scientist. 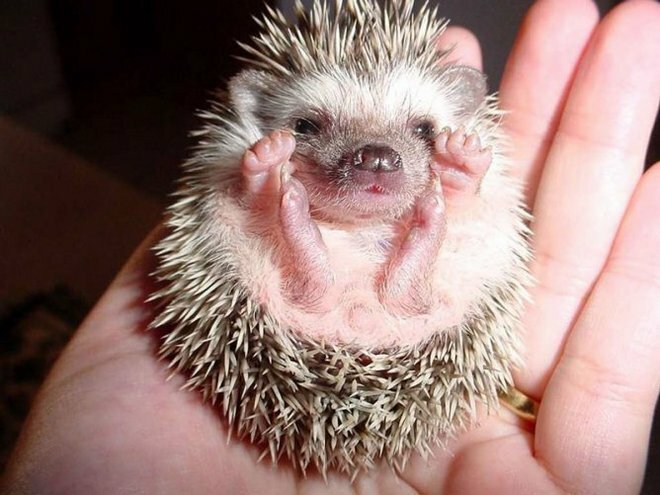 Hedgehogs are basically just spiny hamsters. They can learn a few commands through positive conditioning, but not at the level of a dog or cat. They’re cute and friendly so long as they’re handled with care. They’re shy little fellows so don’t be too aggressive in your interactions with it. Just be loving and comfortable, and watch its adorable personality unfold. While you shouldn’t expect it to either talk or be especially proficient at herding sheep, you might want to hold off on thinking of pigs only for their delicious meat… Mmm, bacon. 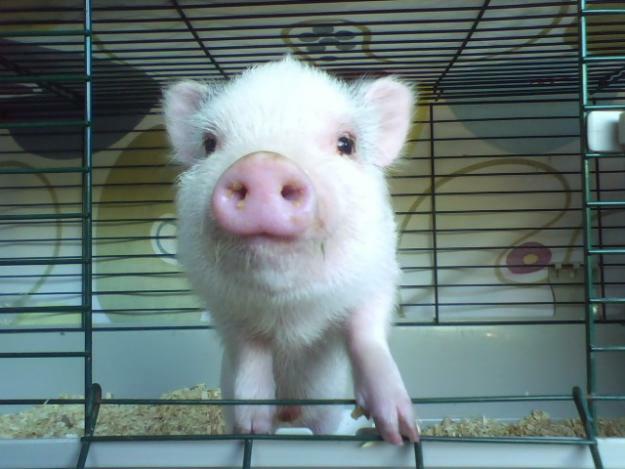 These “miniature” pigs can grow to be around 125 pounds, and they are prone to obesity, so make sure to purchase a treadmill and a fishing pole with a carrot on it (fun for the whole family to enjoy!) They’re very smart animals and can be trained to perform a number of tricks. They can be kind of high maintenance though, so do your homework before deciding to bring one into your home. Tiny. Flying. Freaking. Squirrels. Do you really need more explanation than that? These small airborne rodents will bond with you by sleeping in a pouch you can carry around your neck. This is probably my personal favorite on this list. And look at their faces (they're in the top picture)! Sugar Gliders are unbearably cute. I think I’ll get a farm, buy one of these, a Galapagos turtle, and a cow that’s been raised by wolves so that I can reenact scenes from Rocco’s modern life. Yes, it’s a good plan. 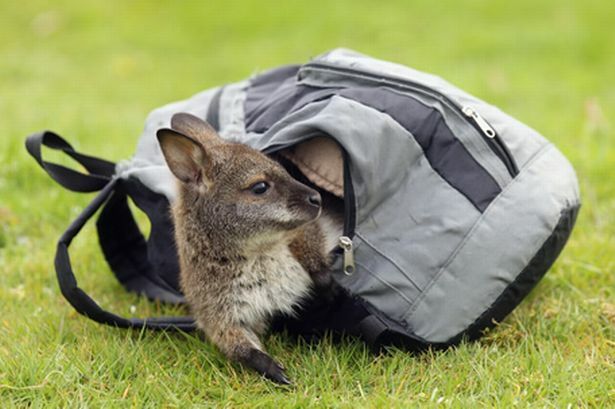 These smaller cousins to the kangaroo aren’t nearly as dangerous and their bigger brethren, though they do need about as much room to run around. Don’t even consider owning wallabies if you haven’t got a large yard with a high fence. That’s all for our list of awesomely exotic pets. Check back next time for more interesting and fun articles about your favorite furry companions.